If you are looking for more from ABA TECHSHOW or weren’t able to attend the event, we have a treat for you! We recorded our LIVE interviews on TECHSHOW Today, and included them below for you to watch. Tune in to learn more about what happened at ABA TECHSHOW 2016, what’s in store for the conference in 2017 (which moves to the Hyatt) from 2017 co-chairs Tom Mighell and Debbie Reynolds, and more from speakers like Avvo CEO Mark Britton and the Women of Legal Tech panel. TECHSHOW Today is a live interview broadcast streamed directly from ABA Techshow. To share the live interviews with your followers, start the video and select share from the upper right hand corner, add your comment, and post. This will post the interview to your profile or page. TECHSHOW Today and Kennedy-Mighell Report c0-host Dennis Kennedy, State Bar of Georgia Law Practice Management Program Director Natalie Kelley, The Digital Edge Co-Host Jim Calloway, and Legal Talk Network Executive Producer Laurence discuss the buzz of TECHSHOW and what’s developing in the legal space. 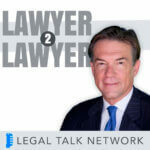 ABA TECHSHOW 2016 Chair Adriana Linares, Executive Director at Community Legal Services of Mid-Florida, Inc Kimberly Sanchez, and The Florida Bar Technology Chair John Stewart join TECHSHOW Today Host Dennis Kennedy to discuss the history of ABA TECHSHOW, how legal technology has evolved, how President Trump’s proposed budget would affect the legal community and particularly legal aid, and much more. TECHSHOW Today co-hosts Dennis Kennedy and Steve Best are joined by Avvo CEO Mark Britton to discuss how technology has and continues to evolve, how Avvo works and why it works (as well as its 10 year history), and what attorneys need to do to grow and expand their practices. 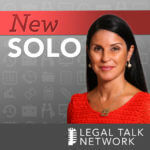 The Women of Legal Tech join TECHSHOW Today co-hosts Dennis Kennedy and Steve Best to discuss challenges women face in legal and, more specifically, in legal technology. My Virtual Law Firm Managing Attorney Brooke Moore, CuroLegal Chief Strategy Officer Nicole Bradick, ABA President Linda Klein, Mass LOMAP Law Practice Director Heidi Alexander, and Palladin Founder Kristen Sonday discuss challenges women face in legal careers, including barriers to entry, the unique challenges facing not only women in general but mothers and minorities, and how this generation of women in legal can shape and help the next generation. The panel also shares that the majority of this year’s TECHSHOW speakers were women and discuss the positive changes they’ve seen in the industry. In the final LIVE report from TECHSHOW Today, ABA TECHSHOW 2017 co-chairs Tom Mighell and Debbie Reynolds join hosts Dennis Kennedy and Steve Best to wrap up TECHSHOW, discuss the changes that are in store for next year (the conference will be moving to a new hotel), and what to expect from the 2017 conference. The interview gets a couple of very special guests: ABA TECHSHOW 2016 Chair Adriana Linares and her furry sidekick (and newly crowned TECHSHOW Today mascot) Rebel, adopted directly from the exhibit hall floor. That’s a wrap for TECHSHOW Today and the 2016 conference, but stay tuned! 2017’s TECHSHOW Today will be bigger and better than ever. To catch more videos like these and to make sure you don’t miss TECHSHOW Today 2017, like Legal Talk Network on Facebook.